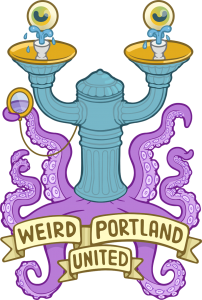 As a non-profit organization, Weird Portland United relies on the generosity of its supporters. With your help we can continue to enrich and secure the oddness and creative expression of our vibrant city. Curious who is supporting Weird Portland United? Check out our Donor Page. Interested in partnering with Weird Portland United? Get in touch for more details. buzzing with unique events. Submit information about your event here, and we’ll do our best to share it with the community. Becoming a volunteer at Weird Portland United is easy! We have a number of opportunities for writers, copy editors, event coordinators, outreach specialists and anything else you can think of. Remember, Portland is a weird place. Let’s collaborate and have some fun!